During the course of his spiritual quest. 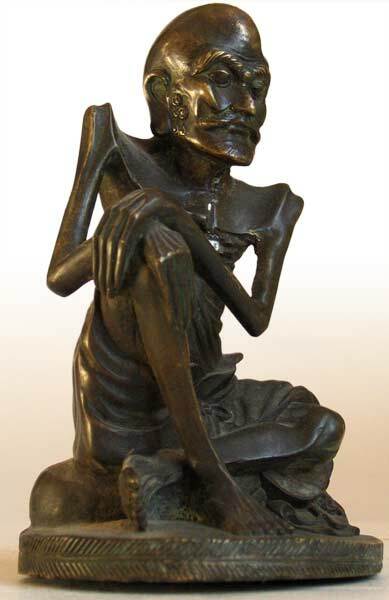 The Prince Siddhartha was practicing asceticism in the land of Magadha. At a time he rigorously engaged in meditation without food, consumed only a few seeds and water from the near by banks of the Nairanjana River. 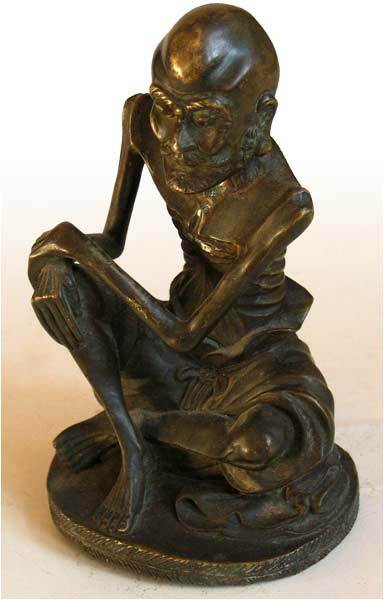 After six years, Siddhartha remained unable to attain his goal. Then one day, he went bathing in the river and accepted a rice ball from the hand of Sujata maid, and came to the realization that severe asceticism can only wear out the body, thus depriving the strength he needed to attain the path to enlightenment. 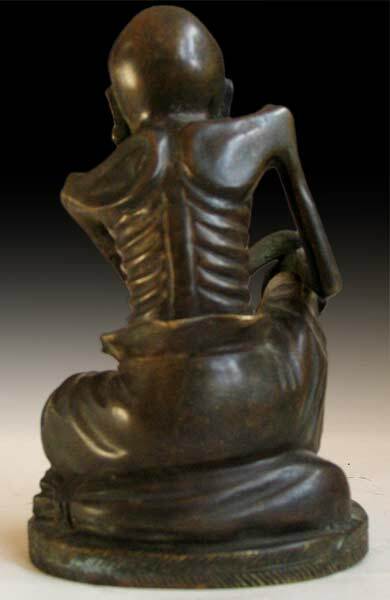 The skin and bone figure of this Shakyamuni bronze is finely realized in a realism unique in the Qing style. 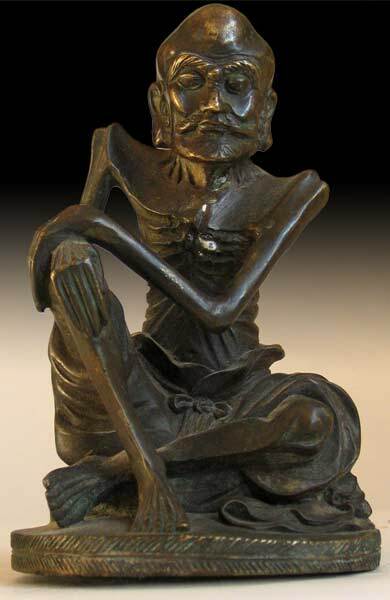 The image of Shakyamuni is in exhaustion, yet his facial expression reveals a kindly and spirited realization, which is likely portrayed through an inspired Buddhist artist. The upper part of the statue is cast in solid bronze. 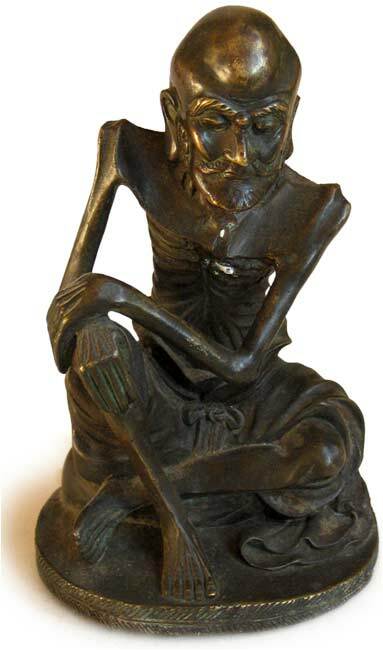 It has an original aged deep bronze patina, and rather heavy for it size.